Breakaway connector for maximum safety. No worries about getting cords caught. And keep whistles from getting lost! 36" long for a total 21" "hang" length. 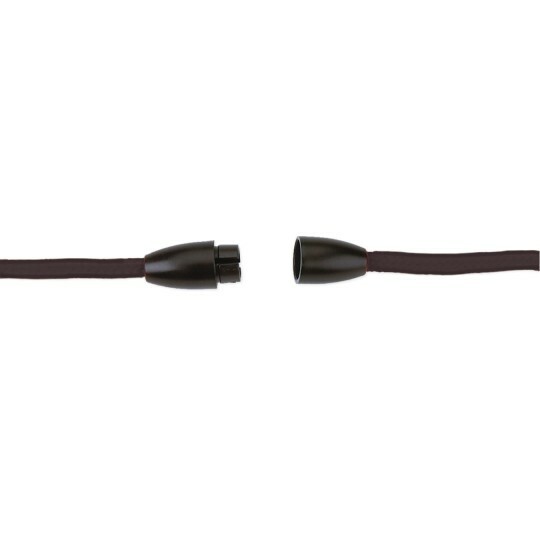 Top-quality 1/8"-diameter lanyards are made from braided polypropylene, have a swivel metal connector and feature a durable plastic breakaway connector for maximum safety. 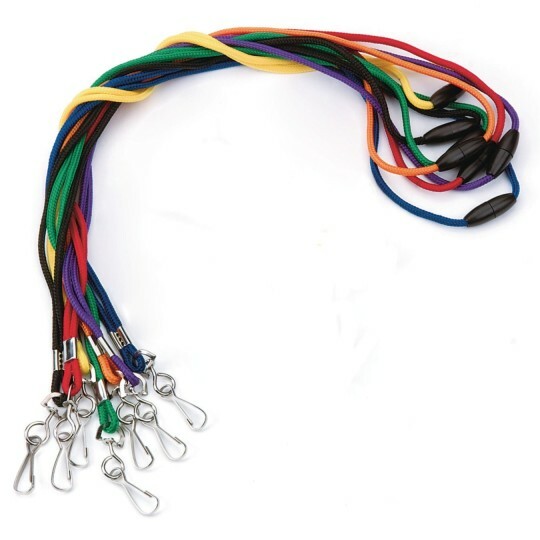 The braided rope is 36" long, resulting in a lanyard with a 21" "hang" length. Work great for dividing groups for all sorts of activities. We really miss having the great assortment of colors that used to be available but will still buy the ones offered here when we need replacements. 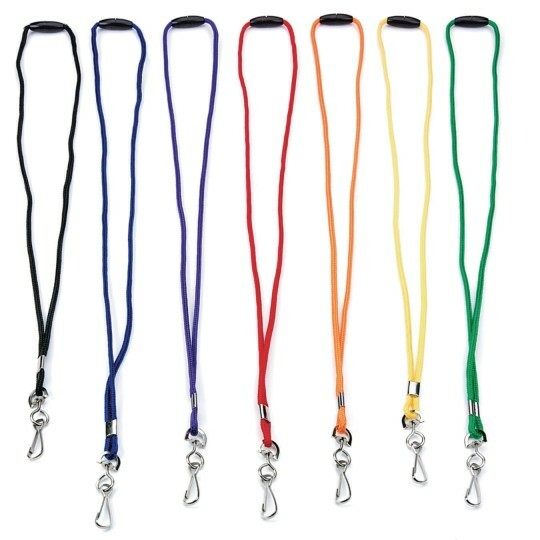 We keep roughly 300 lanyards at all times and most have held up for 5 or more years. They get washed several times each year and keep going strong. This product was used for athletic games and practices. We found them to be very handy for other recreational and office needs. I truly can not tell you how amazing these lanyards are for my new Brag Tags. I introduced Brag Tags to my kindergarteners today and found my students eager to wear their lanyards with their tags however at first I was nervous as they were wearing them around their neck and started pulling them. I thought to myself oh no this could be bad. However then I realized these amazing lanyards are breakaway lanyards. I was happy that I did not have to worry about someone choking someone. They also come in very vibrant colors that my students loved. Work great to divide children into groups. If too long we tie not at the bottom not near the break-away connection. Some of them have come apart but overall we are very happy with the 200 or so we use. 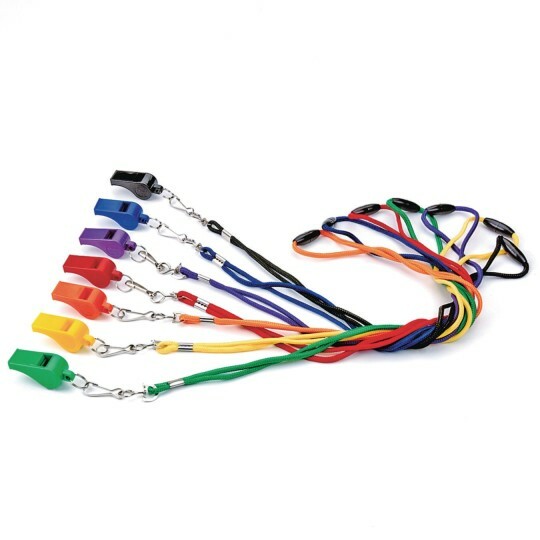 We use these landyards in many areas of our facility: court games lifeguards trips... The color aray is awesome.